Whatever your storage needs may be, we’re eager to hear from you and help you find a solution. Give us a call at (936) 295­-6699 or use the contact form on this page and we’ll get back to you as soon as possible. 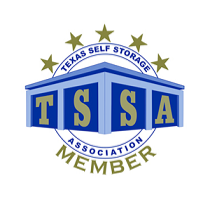 Whether you’re preparing for a move, renovation, decluttering project, or other life event that requires extra space, Stow Stuff Storage is your Huntsville, TX solution. We offer two well-maintained storage facilities that offer everything you need for your storage project. Contact us today and we’ll help you get started right away!